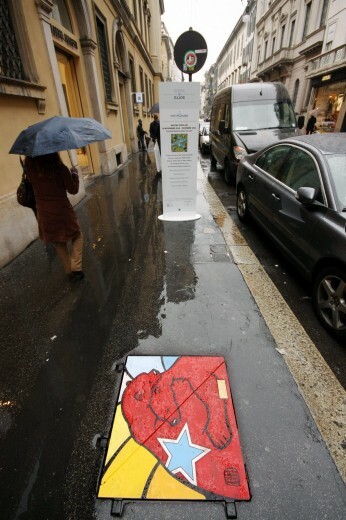 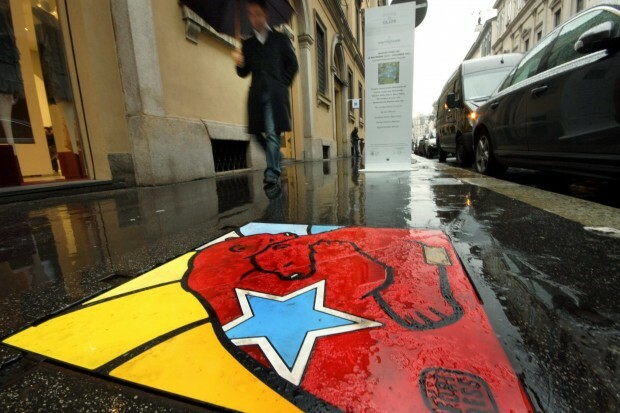 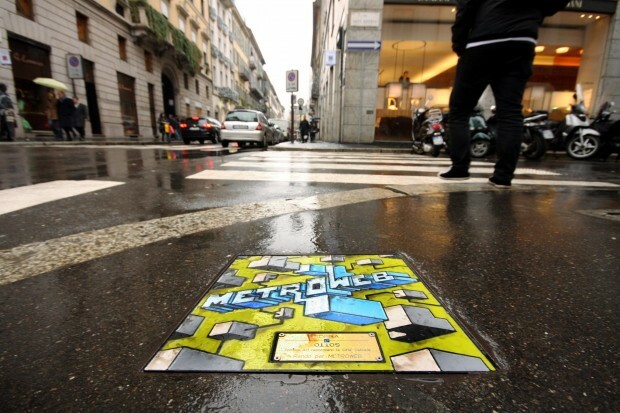 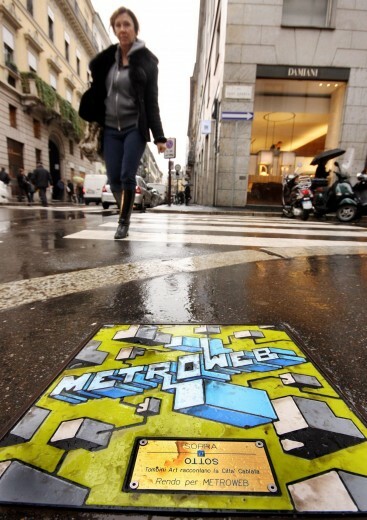 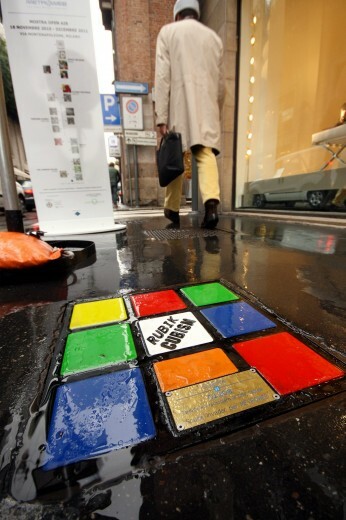 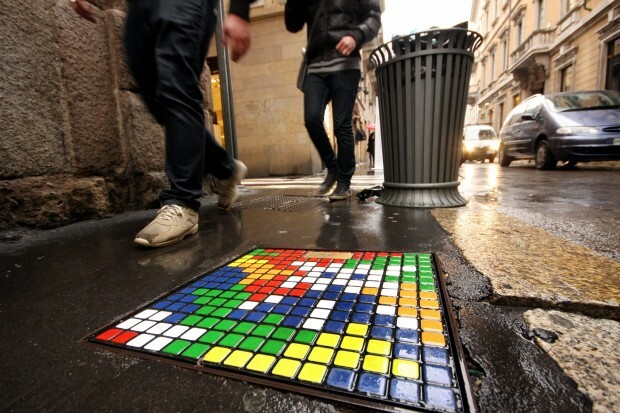 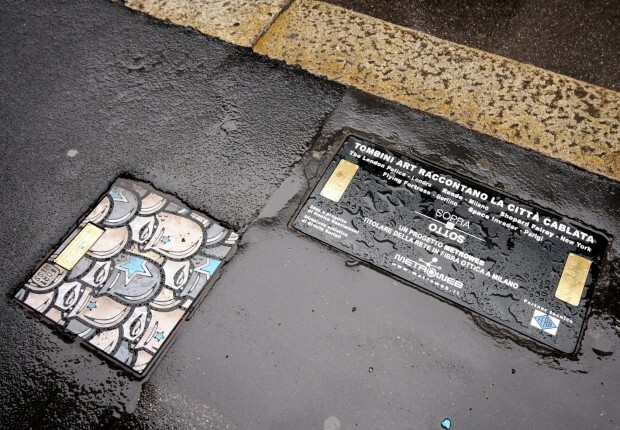 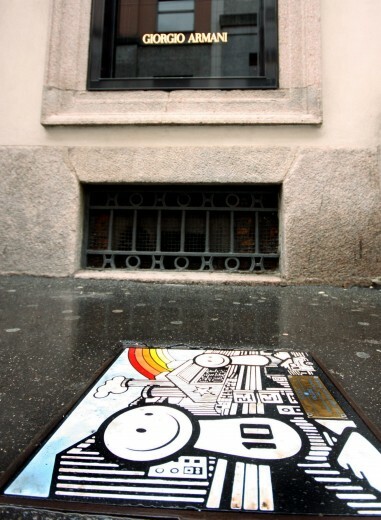 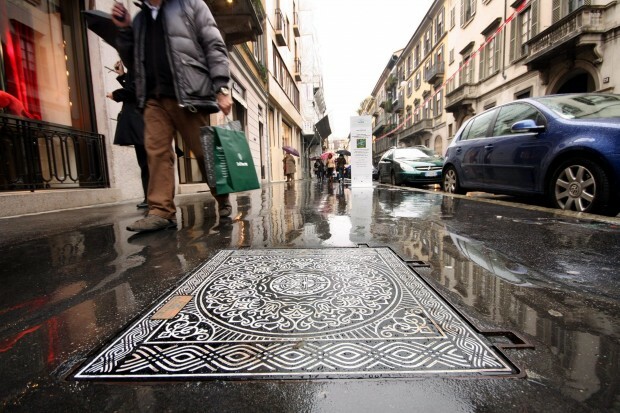 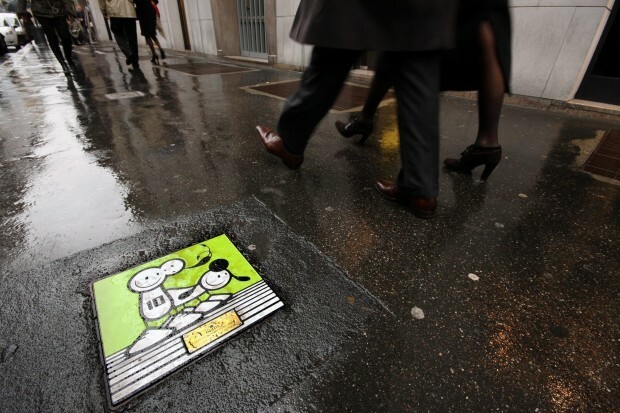 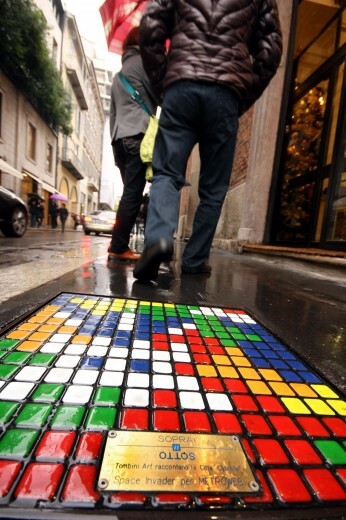 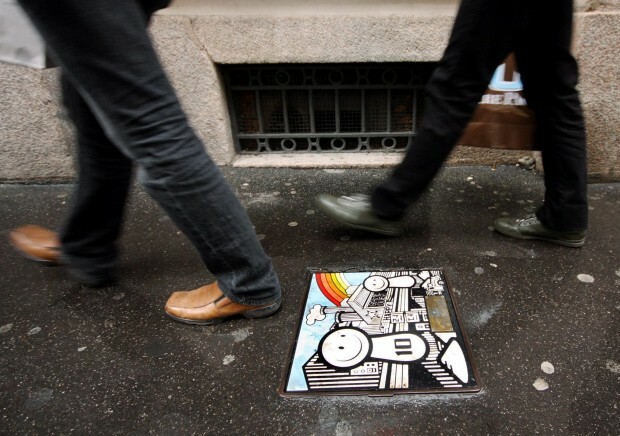 Twenty international artists participated in the project of customization of the manholes in Via Montenapoleone, Milan. 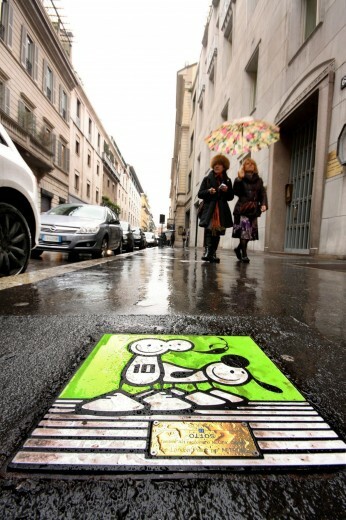 The artists gave color to the streets which will be tres chic and trampled every day by passers. 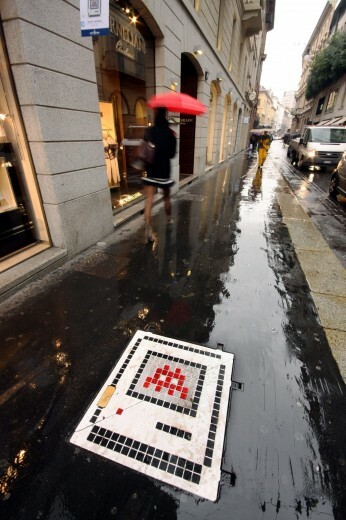 Some of the artists are “The London Police” from England, Shepard Fairey aka OBEY U.S.A., Space Invader from France, Flying Fortress from Germany and Rendo from Italia.